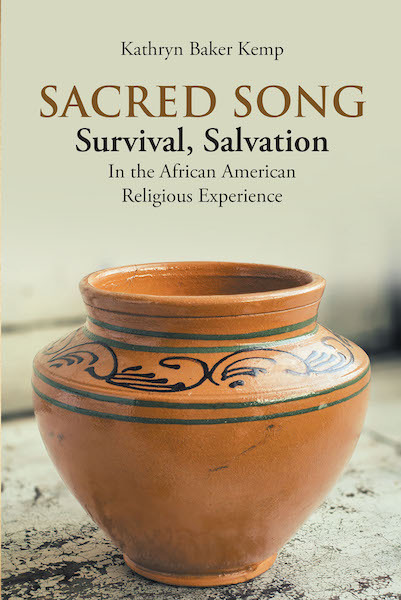 Kathryn Baker Kemp’s New Book, “Sacred Song” is a Powerful Masterpiece of Faith and Spirituality in the African Heritage. Recent release “Sacred Song” from Covenant Books author Kathryn Baker Kemp is an evocative opus and a reflection of the African culture in the Christian context. Chicago, IL, September 28, 2018 – Kathryn Baker Kemp, a native of Chicago with professional careers in teaching, counseling, and administration in elementary, middle, high school, and college levels, as well as having a fifty-year experience in music ministry and teaches the Development of Gospel Music as a faculty member of the Gospel Music Workshop of America and serves with the Pastoral Advisory Council of the National Convention of Gospel Choirs and Choruses, has completed her new book, “Sacred Song”: a refreshing read that narrates the significance of African spirituality and theology that shapes the history of African American praise and worship. Published by Covenant Books of Murrells Inlet, South Carolina, Kathryn Baker Kemp’s new book delves into the African spiritual worldview’s profound adaptation into the Christian framework to ensure its survival in a society filled with bigotry for foreign race. This book also lets readers delve into the historical Civil Rights movement that influenced the religious reality of the African American people and perpetuated its legacy for future generations. Readers can purchase “Sacred Song” at bookstores everywhere, or online at the Apple iTunes store, Amazon, or Barnes and Noble.